Liday Mersa is a 4 year old from Kombolcha. 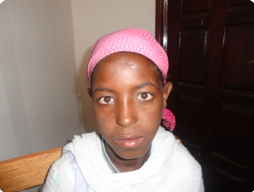 She had her lip and palate operated on at Yekatit 12 Hospital in Ethiopia and is currently attending speech therapy. Yuneal Getachew is 3 years old. 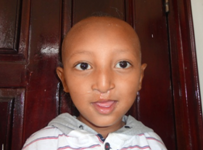 He had both his lip and palate operated on at Yekatit 12 and has just begun speech therapy. BiaZyhu Ketema is 13 years old. She was born with isolated cleft palate and was referred to Yekatit 12 for speech therapy. 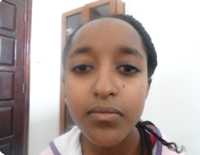 Isreal Getachew is a 15 year old from Addis Ababa. Her palatoplasty was redone at Yekatit 12 hospital. She is attending speech therapy.